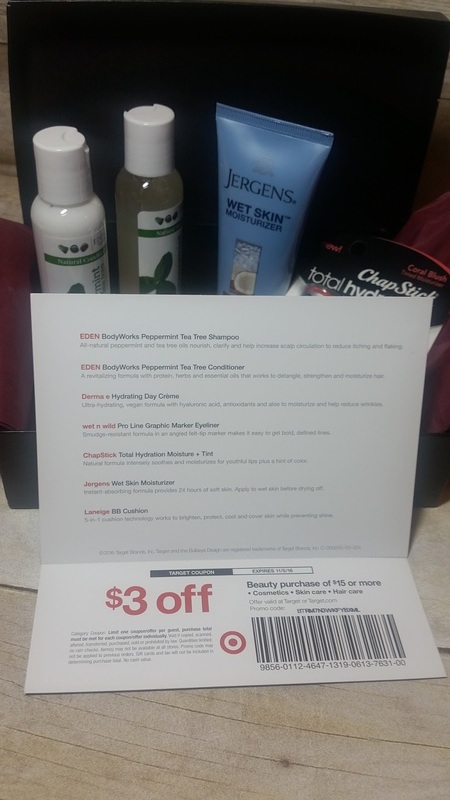 I finally was able to snag a Target Beauty Box, thanks to My Subscription Addiction! They will email you when the box goes live on Target's website, so you can be sure to run to the site and grab one while you can. They sell out super fast! I love that it comes with a $3 coupon off of beauty products. It only is good for a couple of weeks, so I'll have to keep that in mind and not let it expire. I have been loving the in-shower body lotions, so am excited about this product. It's for use on wet skin after your shower, not in the shower. 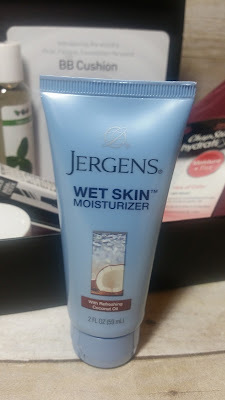 I am hoping it will lock in some moisture for my overly dry skin. 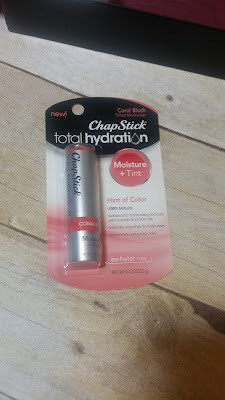 I am a lip balm fanatic, so am so happy to receive this Chapstick. It's tinted, so it will be great to keep in my truck for those days I'm running errands. I love to try new-to-me products and this cushion foundation looks like a great one to try. I like that they sent three different colors so that you can hopefully find one close to your complexion to try. 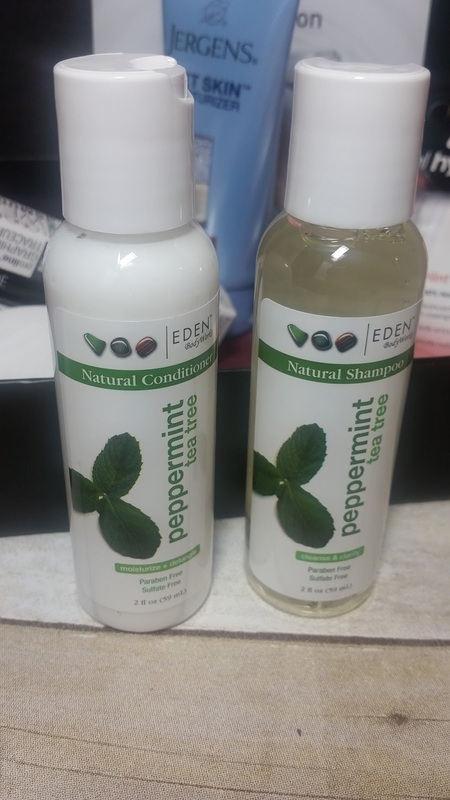 This next set is a shampoo and conditioner with a great peppermint scent. I'm going to save these for use in December, as that is the time of year that I love the smell of peppermint. Really happy to see both the shampoo and conditioner! That was everything in this month's box and I am so glad I was able to snag one. I think it's a great value for only $7! I am still waiting on my Fall Walmart Beauty Box, as it also usually packs a big punch and it's only $5. 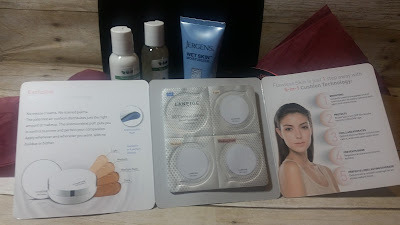 Take a look at my unboxing video. 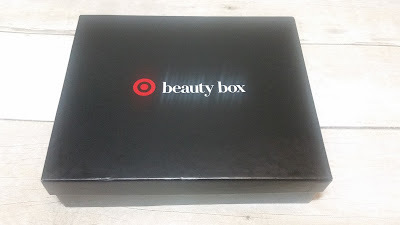 Do you purchase the Target or Walmart beauty boxes?